What a great start for co-op in 2010! A promising lineup, our own vernacular, and more publications getting on board the cooperative party wagon. I can already hear the sound of a million budgets shattering. 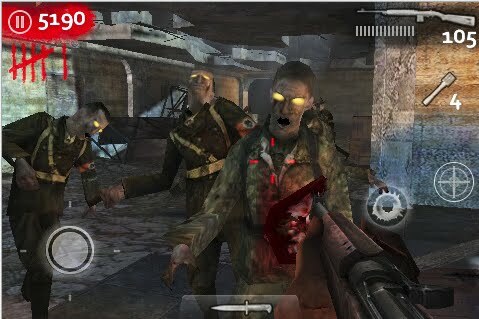 Thankfully, not all great co-op moments are expensive ones: Steam is offering awesome deals left and right, and this week's number one downloaded and played game on the iPhone is the four-player Call of Duty: World at War spin-off Nazi Zombies. You can grab it on the app store for $9.99. This is going to be the best year for co-op yet!